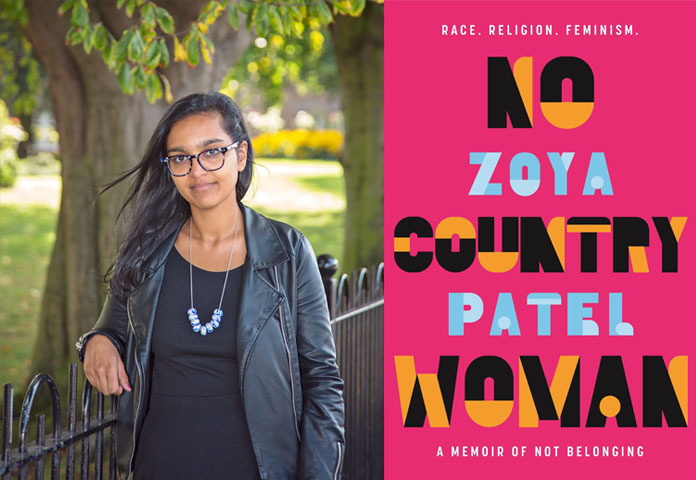 No Country Woman is the debut book from Canberra author Zoya Patel. It’s the story of never knowing where you belong. It's about not feeling represented in the media you consume, not being connected to the culture of your forebears, not having the respect of your peers. It's about living in a multicultural society with a monocultural focus, but living with a determination to be heard. It's a memoir full of heart, fury and intelligence - a book we need right now. Join us to launch No Country Woman in Canberra with Zoya and Yen Eriksen, for a conversation on race, feminism and multiculturalism in Australia. Zoya Patel is a writer and editor based in Canberra. She is the Founding Editor of independent feminist journal, Feminartsy, through which she publishes the work of writers from across Australia, and hosts monthly feminist reading nights. Zoya writes fiction, non-fiction and memoir, and has had her work published in a range of publications including Junkee, Women's Agenda, i-D.co, Right Now, The Canberra Times and more. Yen Eriksen is an advocate, writer and storyteller. They are experienced in LGBTIQ advocacy and community development and are a loud and proud champion for intersectional feminism. A longtime community educator and workshop facilitator, offering consulting and training in areas of gender, diversity, youth engagement and social media, Yen has worked across community media, the women's sector, fundraising and higher education. Yen was also the 2015 Young Person's Human Rights award medallist awarded by the Australian Human Rights Commission.